Hi there! I am a HUGE fan of Iron-on…I may have a hoarder style amount of it at my house and office. I love it, you can put it on anything, and I think I have. But, my favorite things to use Iron-on for are shirts and bags. It’s a simple way to make an inexpensive shirt or bag totally custom. Cricut recently released two new types of Iron On and I am SO EXCITED to start creating with them. The SportFlex Iron-on is perfect for rec-tec athletic shirts. It’s thin, lightweight, and is stretchable and flexible! It can even be layered. The new SportFlex Iron-on features the Cricut StrongBond Guarantee, making it longer lasting than ever before! The Patterned Iron-on is a beautiful alternative to standard single color iron-on. It’s perfect for all fabrics! I decided to try the new SportFlex on a few shirts for myself and a friend. You can grab the cut files here and here. You will need Cricut Access to create both shirts. 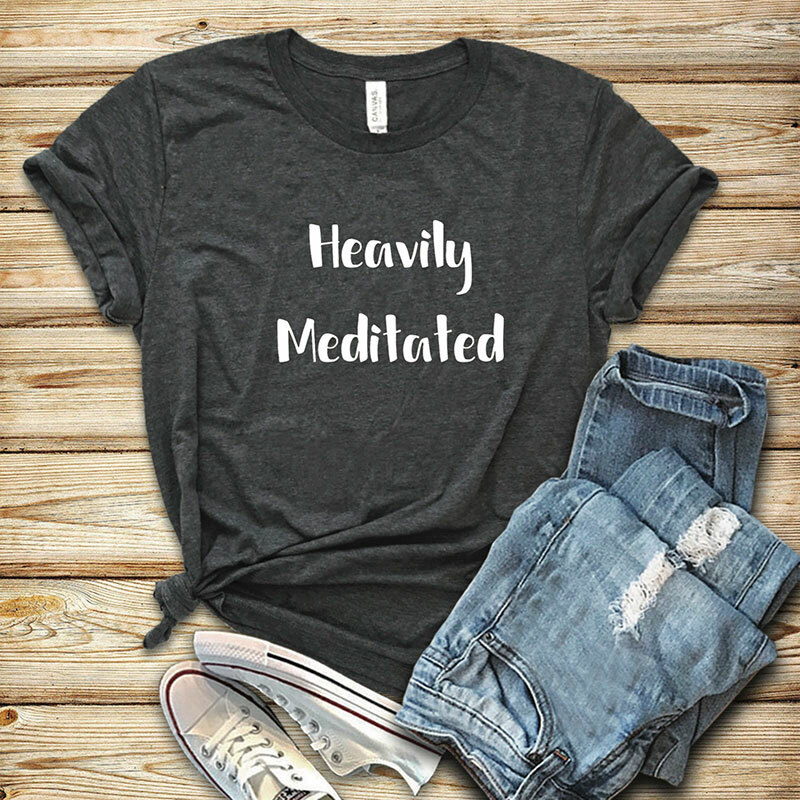 Heavily Meditated is in the Karly font. 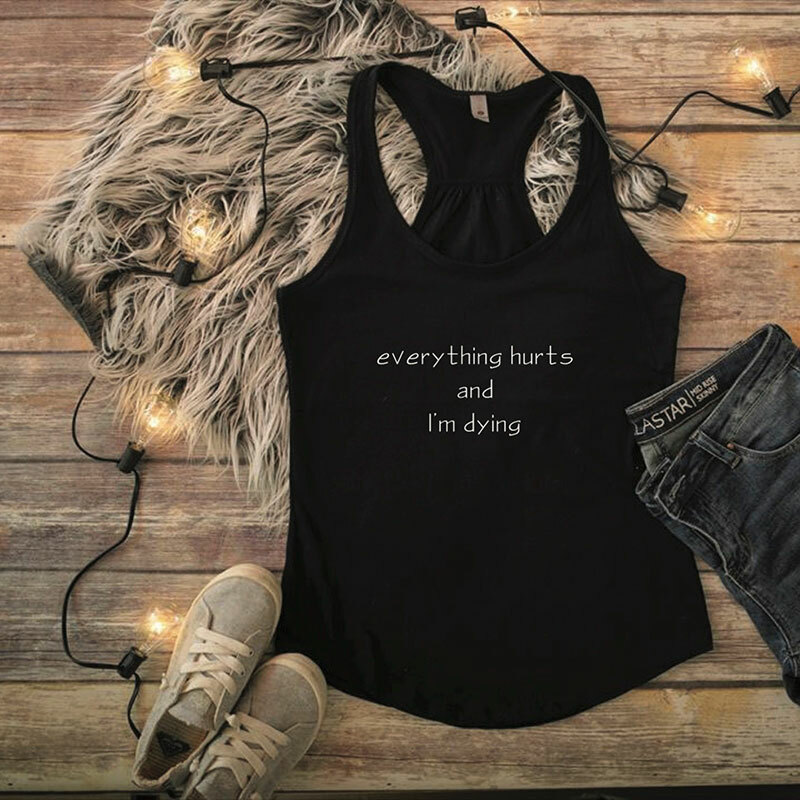 Everything Hurts is in the Enviro Com font. My bloggy friends used the new Patterned Iron-on to embellish simple bags, and I am so in love with both of their bags! 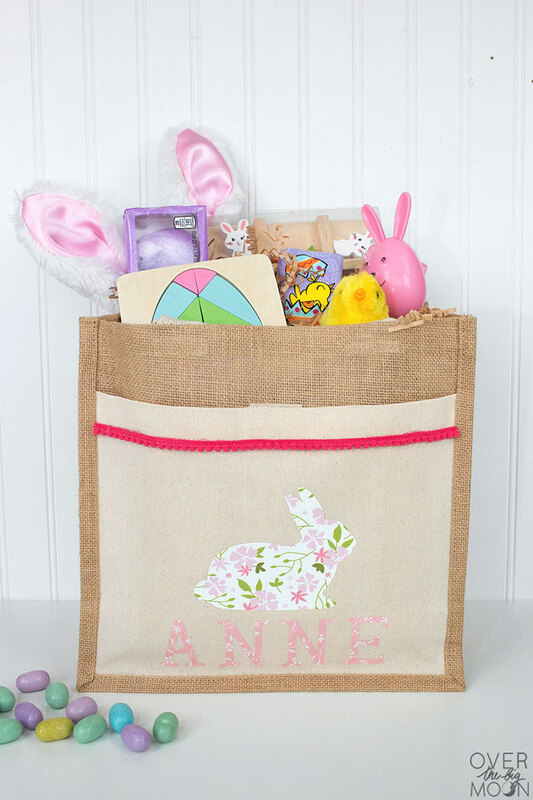 How darling is this Easter Bag from Over the Big Moon? So much better than a basket that won’t get used again! 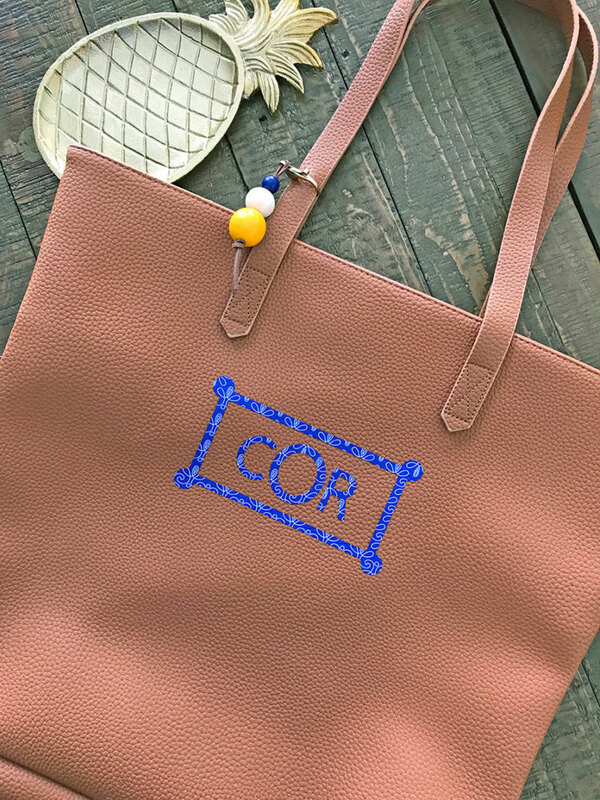 And uh, I’ll be right back, gotta run to Target to get one of those bags to make my own simple monogram! Pineapple Paper Co. has such a great eye for design, right? Have you done projects with SportFlex or the Patterned Iron-on yet? Tell us about it below in the comments and tag us on social media with #CricutMade. You Can Use Iron-on for That?? 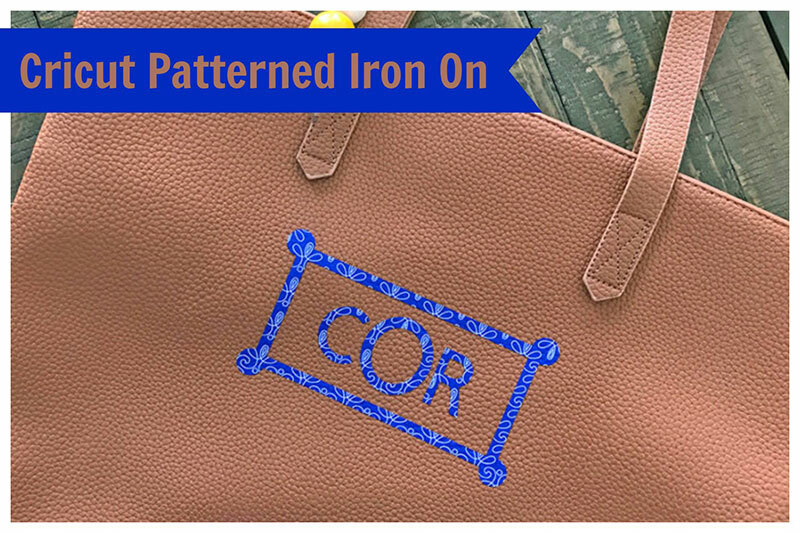 The patterned iron on appears to be on a vinyl/leather bag. Is the temp required to get it to adhere that low so it will not melt the bag? Yes, she used a lower setting to help prevent marring in the faux leather.